Ecosoft took part in Aqua-Term Kiev 2015, the annual exposition (from 12th till 15th May 2014). Aqua-Term Kiev 2015 — is the single largest and most influential event in Ukraine’s and its neighbor countries regional market of technological equipment. Ecosoft showcased its brand new products of 2015. Green Star brand of high-end water treatment systems is made for connoisseurs of smart water treatment solutions, luxury design, and premium functionality. 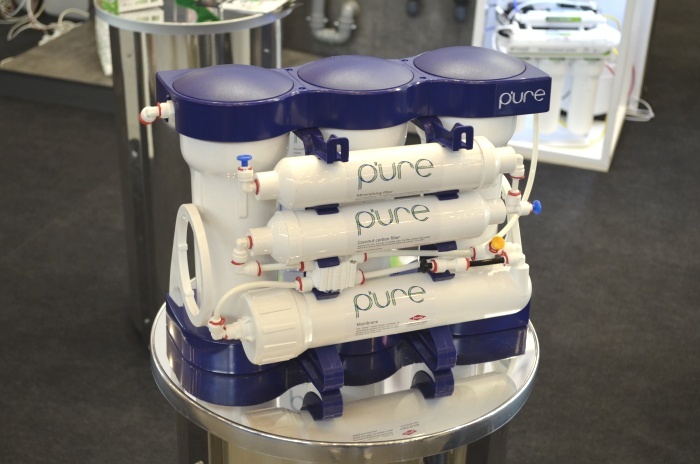 RObust is a high capacity compact RO filter. It was created to meet the need in pure and safe drinking water in cafes and restaurants. 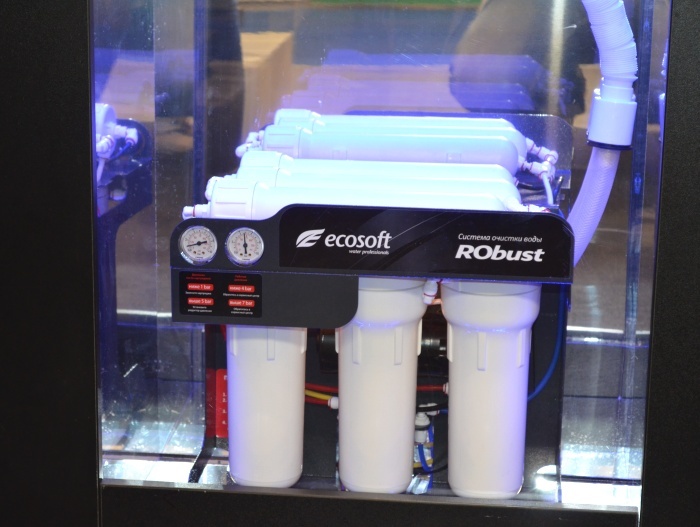 Ecosoft purified water vending machine has been in the trend with both exhibitors and guests. Business program of “Water Purification Technologies and Systems” workshop incorporated WQA water specialist certification exam. 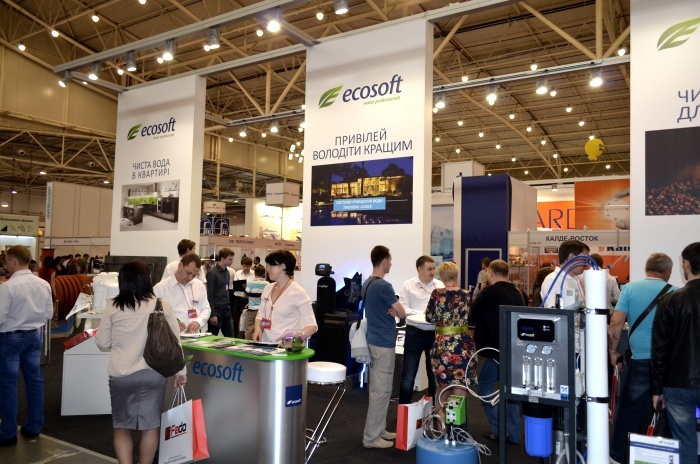 A few thousand people visited Ecosoft booth: businesspeople and representatives from Ukraine and CIS countries. Over 1000 submitted information about their companies in questionnaires. See the official video for more details.